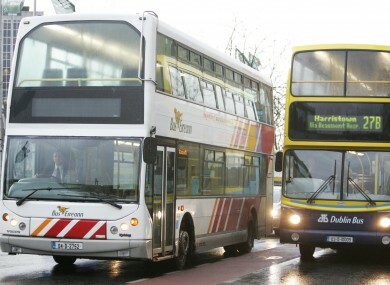 Minister Joan Burton said some reports on the review of the free travel scheme were “a bit wildly speculative”. MINISTER JOAN BURTON said she values the free travel scheme that is to be reviewed by a working group. Speaking on Newstalk Breakfast, the Social Protection Minister said the scheme “has been cash limited since about 2010 but it’s operating and it’s operating quite well”. It was announced yesterday that a working group will look at the scheme. The minister said that they will look at any issues that the operators have and the Department of Transport has. The Minister said she “very much value[s]” the free travel arrangements. She said that her department was spending €77million a year on the scheme and that they were required by Minister for Transport Leo Varadkar to cooperate in a review of the scheme. “This is an examination – this is a review,” she said. Transport operators have raised with the Transport Minister issues they have with some elements of the scheme. Minister Burton said there were some suggestions that there may be issues about how the scheme actually works, and that some operators might want more money for the scheme. She added that “we may in fact be able to strengthen it; we may be able to get better value”. She concluded that of some of the comments she has seen in relation to this particular review, “I would say to be honest… they are a bit wildly speculative”. Email “Burton 'very much values' free travel scheme”. Feedback on “Burton 'very much values' free travel scheme”.